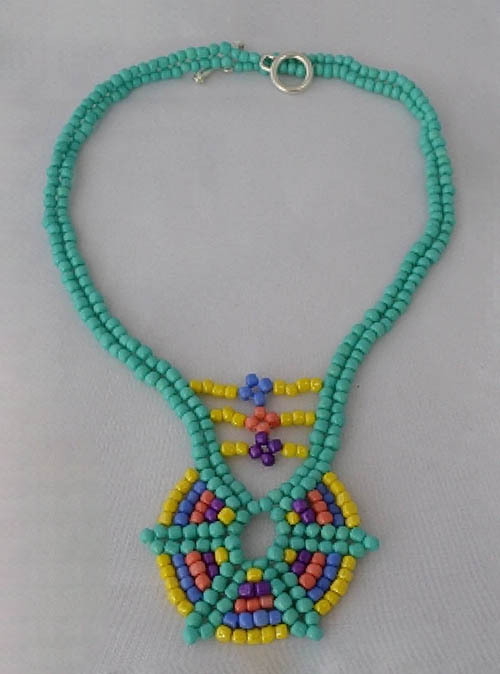 This cheerful looking necklace was again inspired by the African ethnic bead work. The pattern is a simple herringbone stitch with a few adjustments. Very easy to make.